RoomsGKitchen (2458mm x 3713mm (8'0' x 12'2')Lounge / Dining (4598mm x 4445mm (15'1' x 14'7')Wc (949mm x 1600mm (3'1' x 5'2')1Bedroom 1 (Double) (4205mm x 2597mm (13'9' x 8'6')Ensuite 1 (1325mm x 2597mm (4'4' x 8'6')Bedroom 2 (Double) (3112mm x 2597mm (10'2' x 8'6')Bedroom 3 (Single) (2708mm x 1913mm (8'10' x 6'3')Bathroom (1913mm x 2418mm (6'3' x 7'11')About Barratt Homes Clipstone ParkClipstone Park is an exciting new destination in Leighton Buzzard with 2 and 3 bedroom homes available. Living here, you can enjoy both town and country living with beautiful countryside on your doorstep yet close to the thriving town centre with excellent travel links, where you can reach London in 32 minutes. 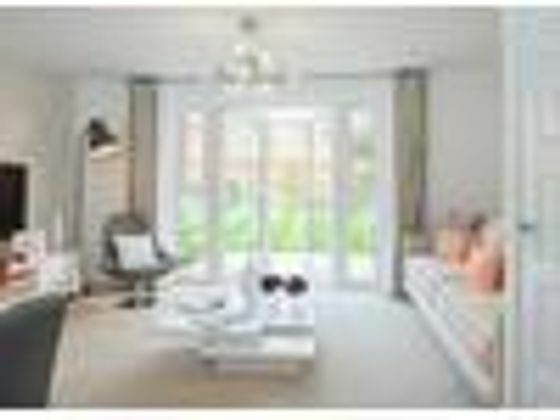 With the addition of new schools, parks, sports pitches, community centres and open spaces, it is easy to see why Clipstone Park is a great new family destination.Don't miss out, these homes are selling quickly, book your appointment today to reserve your brand new home at Clipstone Park.LeisureTiddenfoot leisure centre in Leighton Buzzard hosts over 50 group exercise classes, with two swimming pools one 25 metre and a variable base teaching pool. There is a local gymnastics club for all ages with various events. Take long walks or cycle rides along the canals and explore the ongoing countryside on your doorstep or relax in the unique coffee shops and restaurants in the centre of Leighton Buzzard. Children's play areas will also be built at Clipstone Park.EducationWithin the area of Clipstone Park there is a mix of outstanding and good schools rated by ofsted for all ages ranges.ShoppingLess than two miles from your new home is a Tesco superstore and national chain supermarkets, waterborne walk shopping has a number of unique boutique stores and high street shops. Or you can take a 12 minute train journey to Milton Keynes where they have a large shopping centre with some of the UK's biggest name shops.TransportLeighton buzzard train station is 2 miles from your new home, with direct access into London within just 32 minutes and trains to Birmingham New street. There are also good bus routes within the area to get you where you need to be. There are good road links closeby with the A5 connecting you to the M1.HealthA doctor's surgery will be built at Clipstone Park within easy reach of your new home. With open spaces take long walks along the canals and take in the beautiful surroundings that Leighton Buzzard has to offer. In the area are plenty of gyms and leisure centres to become a member of and children's play areas.Opening Hours12:30pm to 5:30pm Monday, 10am to 5:30pm Thursday to SundayDirectionsFrom the M1 (Junction 11a) take exit towards A5/A505/Aylesbury/Dunstable. At the roundabout take the second exit onto Dunstable Northern Bypass/A5. At the next roundabout take the second exit and stay on Dunstable Northern Bypass/A5. At the roundabout take the third exit onto Watling Street A5 and continue to follow the A5. Turn left onto Leighton Road/A4012. When you turn left continue approxima 2.5 miles and Clipstone Park will be on your right.DisclaimerPlease note that all images (where used) are for illustrative purposes only. Property advert Ref 4271434 - Is a property advert for marketing purposes only, the information has been supplied by the owner, estate agent or property portal and The House Shop makes no warranty as to the accuracy or completeness of the information. Furthermore we have no control over the adverts content. This property advertisement does not constitute property particulars. Please contact the advertiser to obtain any information regarding The Energy Performance Certificate regarding homes in England and Wales or Home Report for residential property in Scotland.